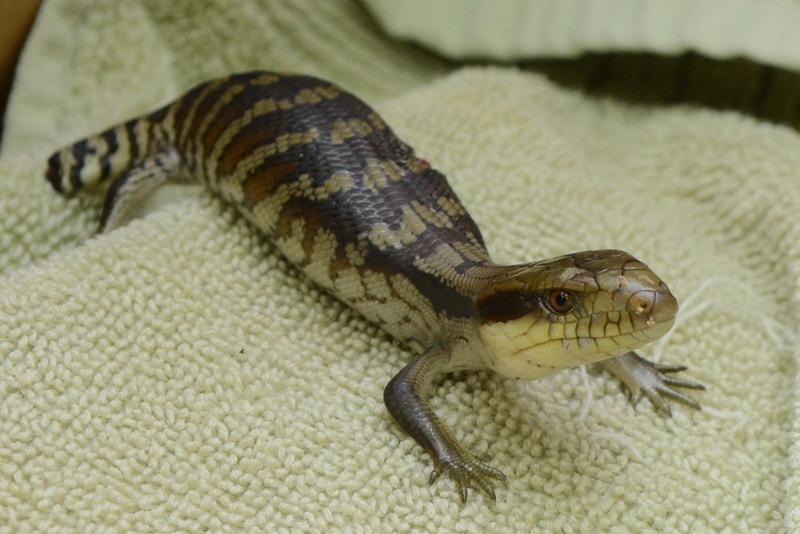 This juvenile bluetongue was attacked by a dog. Summer is peak basking time so check your garden for these critters. When left alone they are harmless. If you do have to pick up an injured bluetongue, use a towel as they can deliver a nasty nip (they're only trying to protect themselves). Summer is always hectic in vetland and this week has been no exception...so today SAT is leaving you with a quote from veterinarian and author Dr Nick Trout about being a vet. Nobody ever suggests that what I do for a living is boring. They might say “gross” or, occasionally, “wicked awesome” and I’ve certainly witnessed some facial expressions ranging from respect to sympathy to dismay, but no one, to my knowledge, has ever labelled by career choice as boring. Unpredictable would be my one-word synopsis because implicit in this adjective is the certainty of surprise. No amount of training will ever fully prepare you. Education may teach you the science but you have to live this job to discover the art. (Love is the Best Medicine, Sphere 2010, p55). If you aren't familiar with Dr Trout's work, it is worth having a look at Tell Me Where It Hurts. We'd love to hear about your favourite veterinary authors and books, so drop us a line.